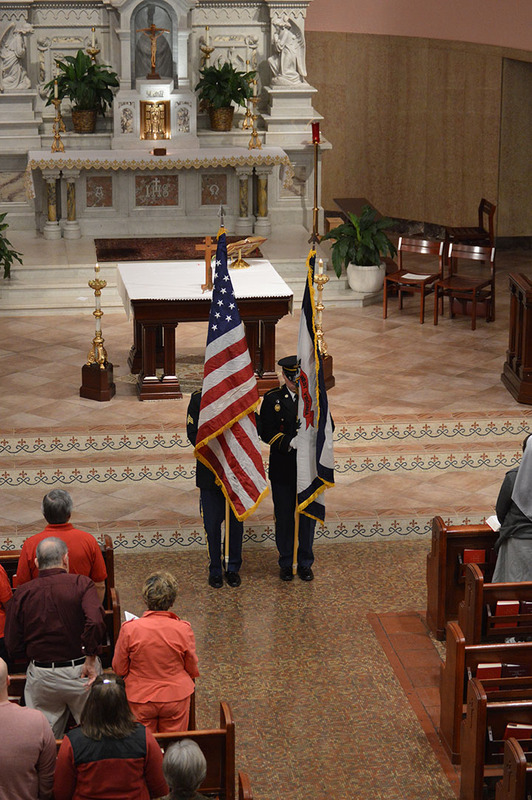 Catholic schools and parishes throughout the diocese honored veterans with Masses and special gatherings on Veterans Day. 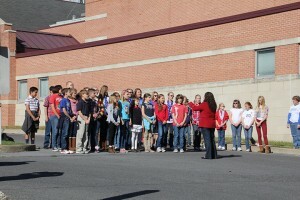 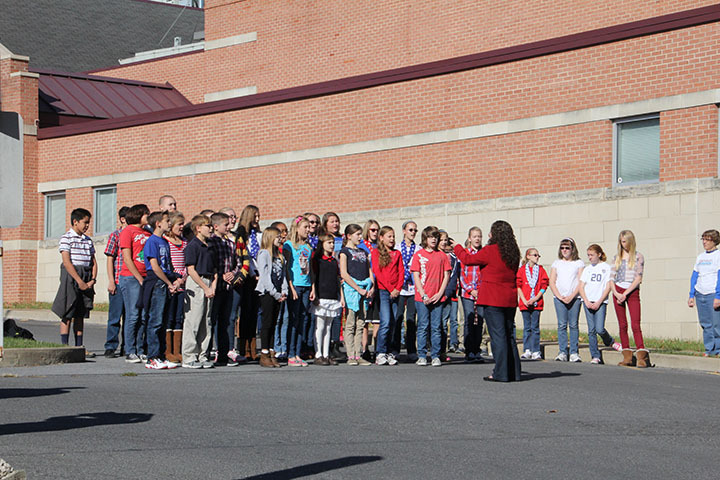 Below, in patriotic attire, students of St. Joseph School in Martinsburg sing for veterans at the Senior Towers complex next to the school. 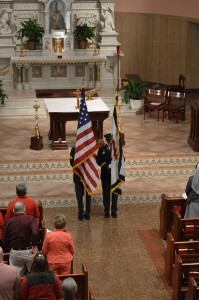 Above, members of the Honor Guard of the West Virginia Army National Guard post the colors during a Mass on Veterans Day at the Basilica of the Co-Cathedral of the Sacred Heart in Charleston.